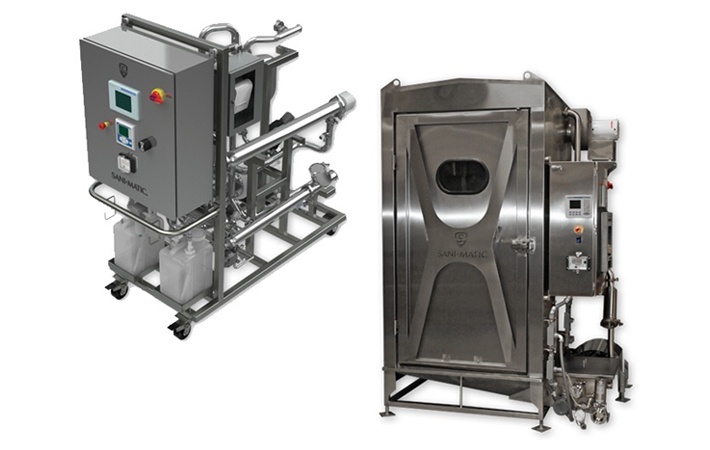 On average, a food and beverage plant spends 20% of their day cleaning equipment. What's even more staggering is that many manufacturers don't know how their CIP system is performing, so they take unnecessary steps to ensure sanitation standards are met. This results in a higher consumption of water, chemicals, and energy than needed to avoid contamination. Optimizing the cleaning process while maintaining sanitary standards can be difficult to wrap your head around. By completing an initial audit of three CIP elements, operators have the ability to establish an execution plan for gaining efficiencies, and ultimately optimizing the cleaning process. 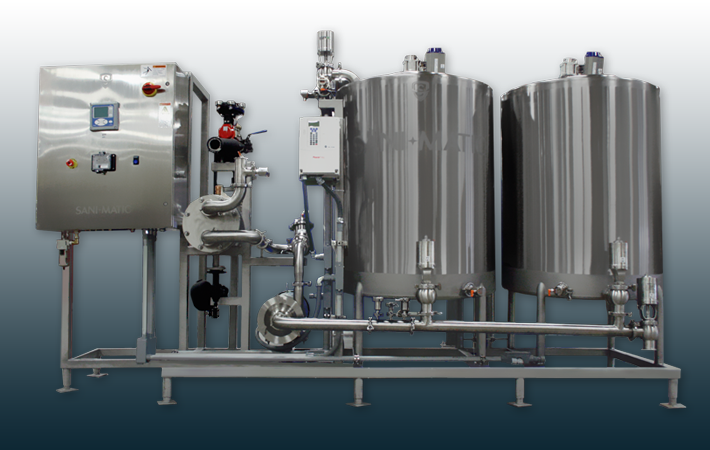 By adding a small, decentralized CIP system to your process, efficiencies are gained by reducing the amount of energy required to transport heated chemical through long pipes. A shorter distance for detergent delivery saves time, water, and energy. You can also achieve improved productivity and water savings by repairing leaks, removing “dead legs” (or stagnant water in pipes that could grow bacteria), installing self-priming pumps to avoid cavitation, and replacing static spray balls with rotating ones for tank cleaning. Up to 30% in energy savings can be gained by making improvements to inefficient, outdated equipment components. For example, introduce a variable speed drive, so that operators can specify the flow rate within the CIP recipe parameters. Controls, sensors, and alarms are all key elements of automation that monitor key performance indicators (or KPIs). KPIs might include water re-use percentages, amount of wastewater generated, or energy consumed. Automation improves the quality of information available and allows for tighter control of the cleaning process. Four parameters make up an efficient cleaning recipe for CIP ( or “The 4 T rule”). Software calculates the optimal combination of each parameter, and an automation system monitors and verifies them, ultimately resulting in decreased costs. System optimization is also achieved by understanding the interconnectivity of the pipe work, valves, pumps, instrumentation, and PLCs, which enables the software to communicate within the system. Auditing your current CIP system setup is crucial for driving operational efficiencies and reducing costs. 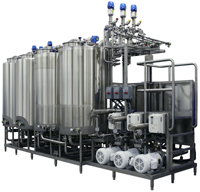 By addressing CIP system design and implementing advanced process automation, a high level of efficiency and cost savings can be achieved. Do you want to reduce costs and energy consumption? CIP process optimization is a good start. Just ask us about it! Our team of experienced engineers provide technical assistance to businesses in Wisconsin and Upper Michigan. Read more in depth in a white paper authored by Schneider Electric, How to Optimize Clean-In-Place (CIP) Processes in Food and Beverage Operations.